Categories: Personal Care, Soaps and Body Wash.
Use dettol liquid handwash to protect transference of germs from your hands. Your Trusted Dettol offers a new and improved Dettol original liquid handwash. It is specially formulated to protect you from 100 illness causing germs. It gives 10X better protection than any ordinary soap. You can also protect your family by using the following products: Dettol Bar Soap: Provides 100% better protection vs ordinary soaps. Dettol Sanitizer: protect your hands from germs when you don’t have access to water and Dettol Liquid Handwash. Dettol Wipes: Protects from a wide range of germs anytime, anywhere. The incidence of germ transference is higher from hands to mouth thereby causing illnesses like diarrhoea, swine flu, cold & cough etc. 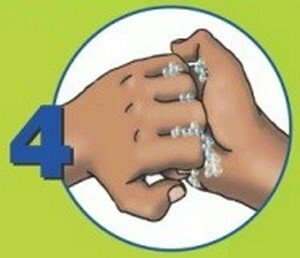 Ensuring proper hand hygiene habits for your family can act as the first line of defence in protection from various illnesses. Find out how to maintain hand hygiene the best way – the Dettol way. Wet hands and apply soap Rub palms together until soap is bubbly. Rub each palm over the back of the other hand. Rub between your fingers on each hand. Rub back of fingers (interlocked). Rub around each of your thumbs. Rub both palms with fingertips, then rinse and dry your hands.